Etienne Brule probably was the first white man to see Lake Ontario. 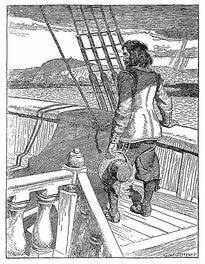 Little is known about him, for he left no record of his own; but from scanty and scattered references, he appears to have been the first white voyageur by the Ottawa River route to Lake Huron, and the first to reach Lake Superior. He learned to speak several Indian languages, and became more at home among the Indians than with the whites. Brule's information and experience were of great service to Champlain, who made use of him, but discredited his character and ignored his discoveries, and most of the other writers of his time gave him an equally bad reputation. 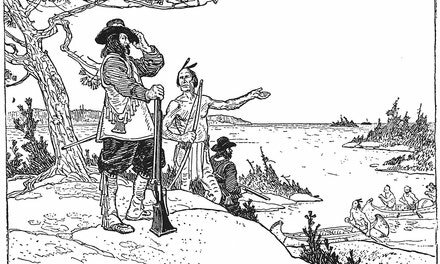 It was in September, 1615, that Champlain set out with the Hurons on a raid into the Iroquois country south of Lake Ontario. Brule at the same time was sent to the Andastes, living on the upper Susquehanna River, to summon them to strike the Iroquois, their common enemy, from the south, while the Hurons and Champlain attacked them from the north. 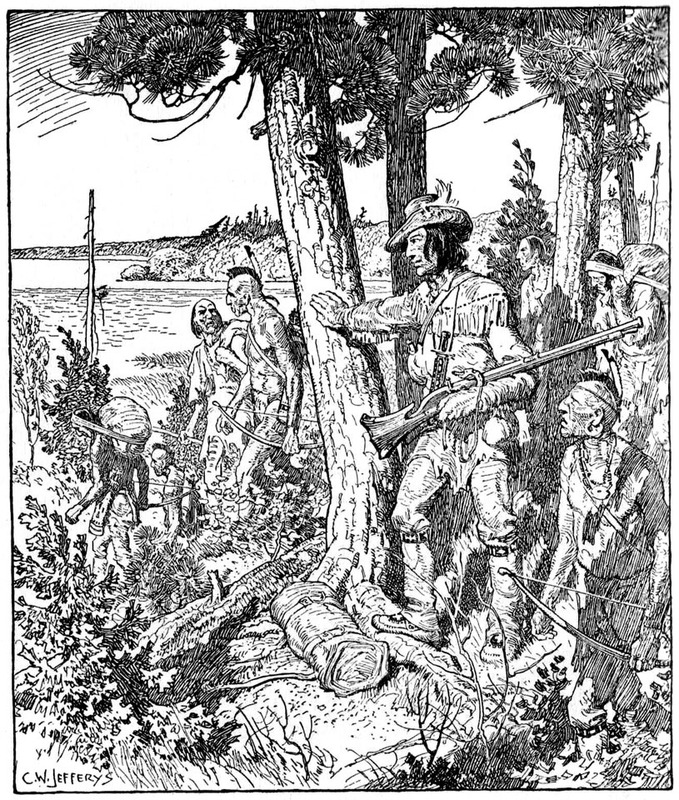 Leaving Champlain's party at the narrows of Lake Couchiching, Brule, with twelve Indians, struck south across Lake Simcoe to the Holland River. From there a portage of twenty-eight miles led overland to the mouth of the Humber, a route which had existed for ages as the natural highway from the upper lakes to Lake Ontario. What course he followed thence to the country of the Andastes is uncertain; he reached them, however, and they made the attack upon the Iroquois, but it was too late, for the Hurons had retired from their seige of the Iroquois village before they arrived. Brule spent most of the remainder of his life among the Indians and was murdered by the Hurons about 1632, somewhere in the present township of Tay, Simcoe County, Ontario. The picture shows him halting for a moment in sight of Lake Ontario, at the end of the Toronto Carrying-Place, where the trail dips down to the Humber River bank. See Toronto Under the French Regime, by Dr. Percy J. Robinson, The Ryerson Press, Toronto.